The Boston Beaneaters came to Cleveland, Ohio, for a two-game series, July 8-9, 1891, against the Cleveland Spiders. 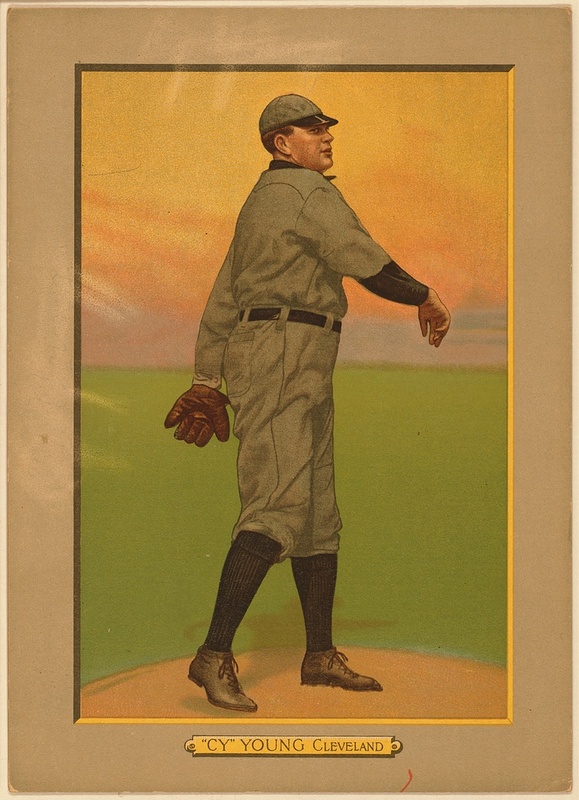 Boston’s John Clarkson pitched a gem in the first game, allowing only five hits in a 4-1 victory, which extended Boston’s winning streak to six games. Boston was in third place and Cleveland was in fifth place in the eight-team National League. In the second game of the series, Boston had Bobby Lowe in left field, Walter Brodie in center field, and Harry Stovey in right field. The veteran Stovey was a powerful slugger and exceptional baserunner. Lowe was a handyman, capable of playing the infield and outfield.1 Brodie was a fleet youngster. The Boston battery consisted of native German hurler Charles Getzien and veteran backstop Charlie Bennett. Getzien was called “Pretzels” for his twisting curveballs. Bennett had a reputation for throwing out base thieves.3 The two were members of the World Champion 1887 Detroit Wolverines. Jake Virtue played first base for the Spiders. Clarence “Fatty” Childs was a pudgy but excellent second baseman. Ed McKean was a slugging shortstop. Pat Tebeau, the feisty captain and third baseman, rounded out the Cleveland infield. Pitching for Cleveland was Denton “Cyclone” Young, a burly 24-year-old Ohio farmer. He was healthy in 1891 after overcoming a bout with typhoid in November 1890.10 Young was paid a salary of $1,430 in his second season with the Spiders.11 Young, Lee Viau, and Henry Gruber formed a three-man pitching rotation. Long’s two errors in the top of the first inning led to four Cleveland runs and caused pitcher Getzien to express his indignation.28 When Cleveland scored five more runs in the second inning, Getzien could not blame his fielders.29 With the bases loaded, Davis drove one of his pitches to the right-field fence for a double, knocking in three runs. Childs drilled a ball over Lowe’s head in left field for a double, scoring Davis, and Virtue singled to bring Childs home. After two innings, the Spiders led 9-0. Long led off the bottom of the third inning by smoking the ball down the first-base line. The ball “went squarely over first base at the rate of a fast mail train.”30 It looked like a sure triple, but Virtue stopped it 20 feet behind the bag and outran Long to the base. It was “the greatest stop of a ground hit that has been seen here this season.”31 Virtue was a hero until later in the inning when his wild throw allowed Stovey to score the first Boston run. The Beaneaters scored their second run in the fifth inning, thanks to Quinn’s triple and Nash’s sacrifice. In the top of the sixth, Davis scored from second base when Nash’s throw to first base sailed into the pavilion. In the bottom of the sixth, Long’s triple drove in Boston’s third run. The score was now 10-3. The final score was Cleveland 14, Boston 3. The Spiders collected 16 hits and benefited from five Boston errors.34 The Beaneaters made 12 hits and were helped by five Cleveland errors, yet they managed to score only three runs. 1 Charles C. Alexander, Turbulent Seasons: Baseball in 1890-1891 (Dallas: SMU Press, 2011). 3 New Castle (PA) News, May 27, 1891. 4 Alexander, Turbulent Seasons. Managers typically sat on the bench dressed in uniform. 5 Sporting Life, June 20, 1891. 6 Cleveland Plain Dealer, May 27, 1891. 7 Sporting Life, July 4, 1891. 8 Sporting Life, February 7, 1891. 10 New Philadelphia (OH) Daily Times, November 20, 1890. 11 Reed Browning, Cy Young: A Baseball Life (Amherst, MA: University of Massachusetts Press, 2000). 12 Sporting Life, June 6, 1891. 13 Cleveland Plain Dealer, August 7, 1890. 14 Sporting Life, April 25, 1891. 15 Sporting Life, May 9, 1891. 16 Sporting Life, May 30, 1891. In 1891 pitchers threw to home plate from a rectangle in the center of the infield known as the “pitcher’s box.” It was replaced in 1893 by the pitcher’s rubber. 17 Cleveland Plain Dealer, September 16, 1890. 18 Childs signed to play for the Baltimore Orioles in 1891. Robison won a court case to get the Baltimore contract voided. 19 Cleveland Plain Dealer, May 24, 1891. 20 Ken Krsolovic, League Park: Historic Home of Cleveland Baseball, 1891-1946 (Jefferson, NC: McFarland, 2013). 21 Sporting Life, April 18, 1891. 22 Sporting Life, May 23, 1891. 23 Sporting Life, July 4, 1891. 24 Boston Daily Globe, July 10, 1891. 25 Robison owned a streetcar business in Cleveland. 26 Topeka (KS) State Journal, May 15, 1891. Ladies were admitted free at Cleveland’s League Park except on Opening Day, Saturdays, and holidays. No games were played on Sunday. 27 Before it became the rule for the home team to bat last, the home team was given the choice of batting first or last. 28 Boston Daily Globe, July 10, 1891. 29 One week after this game, manager Selee released Getzien who complained of a sore arm. 30 Boston Daily Globe, July 10, 1891. 32 Alexander, Turbulent Seasons. Long and Tucker were known for raucous chatter when they were coaching along the first-base and third-base lines. 33 Sporting Life, July 18, 1891. Arlie Latham’s homer off Cy Young on Opening Day, May 1, 1891, was the first home run hit at League Park. 34 Boston Daily Globe, July 10, 1891. The box score has conflicting information about the number of Boston errors. It says Long made three errors and Nash made two errors, but also says the total number of errors was four. 35 Sporting Life, July 18, 1891. 36 Boston Daily Globe, July 10, 1891. 37 Daily Inter Ocean (Chicago), July 10, 1891. 38 These figures were tallied from box scores in Sporting Life. 39 Cy Young won 27 games in 1891 and 487 more games after this one, over the next 20 years. He finished his career with 511 wins, a record that will almost certainly never be broken.